Genome-wide association studies (GWAS) are designed to detect the statistical association between genomic markers and phenotypic data in order to identify loci that control complex traits and more recently to quantify the relative amount of trait variance that arises from genetic sources. Moreover, many genomic resources have been generated and analytical tools developed to bring together information linking GWAS results to causal variants. This book chapter is an incredible effort to bring together information about current aspects of genome-wide studies and the concept of heritability. 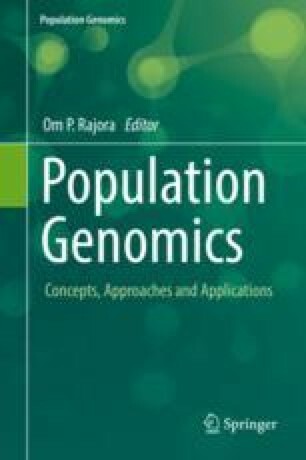 In the first section of this book chapter, we discuss the most critical concepts and experimental considerations in order to follow GWAS. In the later sections, we explore how researchers are trying to answer the question of whether using functional genomic data can improve the power of GWAS in complex phenotypes and if so far has led us to important biological insights. We review the core concept of heritability, its practical applications, and the classical (pre-genomics) methods for measurement, which largely remain relevant. Finally, we outline the genomic resources available for GWA studies. Also, based on what is available for humans, we identify what are the most critical resources that need to be developed for other species by contrasting the human genomic resources with resources being developed in plant and animal models. Bukowski R, Guo X, Lu Y, et al. Construction of the third generation Zea mays haplotype map. Gigascience. 2017. https://doi.org/10.1093/gigascience/gix134 [Epub ahead of print].